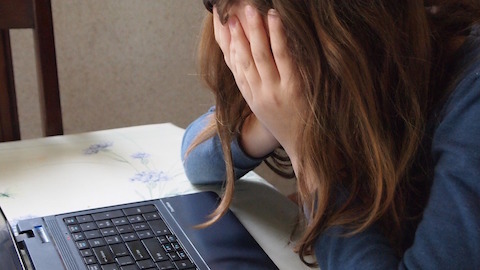 Young people get bullied at school and online. Those most vulnerable are children with disabilities. Today, 2 December, is the International Day of People with Disability. To acknowledge the day and recognise the diverse needs of people with disability, we are honoured to host a blog from Alex Diaz-Granados of cerebralpalsyguidance.com highlighting the challenges of bullying faced by children with a disability such as cerebral palsy. Bullying is a major problem for a significant portion of students around the world. Young people get bullied at school and online. Those that are most vulnerable are children with disabilities, like cerebral palsy. Statistics gathered for 2015 found that 22 percent of school-aged children had experienced bullying. For children with disabilities that number was much higher at 60 percent. Bullies tend to target kids that are different or that are vulnerable because they cannot fight back as well as other children. Cerebral palsy is a neurological condition that some children are born with as the result of brain damage. It effects muscle tone and movement and can cause a variety of symptoms ranging from mild to severe. Most children with cerebral palsy look and act differently, which makes them targets. They may have trouble walking or use wheelchairs; they may move in ways that are spastic; they may even struggle to eat and breathe. For any child, the effects of bullying can be devastating and long-lasting, but for a child with cerebral palsy it adds to the challenges already faced on a daily basis. Children who have been bullied may develop anxiety disorders and depression and may even attempt or commit suicide. Bullying victims also suffer academically and socially. They are more likely to have poor grades, to miss school, to drop out of school, and to be excluded from social activities. Parents and other adults, as well as children, can help kids with disabilities like cerebral palsy avoid being bullied or overcome being bullied. By including these children in school and extracurricular activities, their peers can help build up their social support network and their self-confidence. These measures go a long way toward helping victims of bullying overcome the negative effects and have a better quality of life. Can we make a difference? The feedback we get from parents is that aikido training helps kids and teens develop not only physical skills but also personality, giving them greater self-confidence. Parents report that their children are far more confident at school, for example. Surely our training would be of benefit to young people with disabilities like cerebral palsy? How can we as a community of martial artists be more inclusive of people with disability and make a greater contribution to reducing the incidence and effects of bullying in our schools? ← How will you react to unavoidable violence?